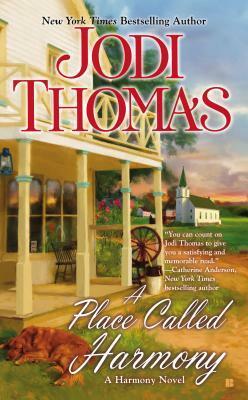 A PLACE CALLED HARMONY by Jodi Thomas is a compelling Historical Romance. #7 in the “Harmony Novel” series, but can be read as a stand alone. I would recommend reading this series, just because it’s an awesome series. An epic tale of love, suspense, and Texas humor. What a compelling, captivating tale, one in which you will not want to put down. I love this series. Ms. Thomas is a consummate storyteller. You can NEVER go wrong with a Jodi Thomas’ tale. Fast paced, tale of suspense, Texas romance, with charismatic characters and a well written storyline. A must read for any reader, not just Historical Romance readers.